Who could resist the irony? Donald Trump, the poster boy for capitalist braggadocio, has two of William Blake’s “Proverbs of Hell” framed on the wall of the library in his Trump International Hotel & Tower. This was long before the power and reach of social media, decades before “Black Twitter” became a sounding board for people of color. And yet, by episode three, on the strength of word of mouth alone, there wasn’t a black or Latino teenager I knew who was missing a new Chappelle’s Show every Tuesday night. Enough with grief about Atticus! Writers — of all people! — should know that Atticus V2.0, like his recently unveiled alpha version, was fictional. Lee could have penned another Atticus so TOTALLY repellant that he’d have to be in a plastic wrapper, like “American Psycho” in Australia. Dry your tears, everyone. We live in a racist country. It is also true that writers create fiction based on the realities around them. Why is it a shock that the first version of Atticus himself reflected the nasty racist nature of our country? And isn’t it ALSO wonderful that the sanitized version of this reality could be held up as a better example of where white American should be headed? I can’t take anything that was written in Watchman seriously. It was never meant for publication, and it’s just a money grab on the part of the people who are supposedly “taking care of” Harper Lee. After reading half of the book, I abandoned it, which is the appropriate response. Let’s ignore it and focus on the classic that is To Kill a Mockingbird. It is amazing to me that the writers of all of the reviews and the criticisms of Go Set of Watchman are insistent upon making a big deal out of absolutely nothing. I agree with the two people above me in the sense that this was a first draft; her editor said no to its publication, and they revised what then becomes To Kill a Mockingbird. 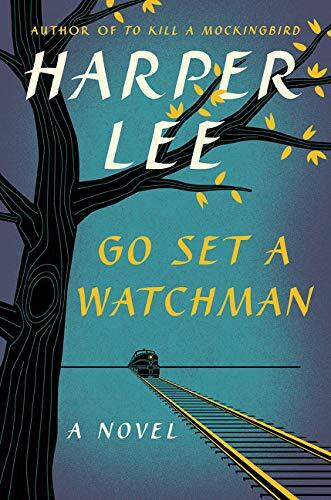 Go Set a Watchman is nothing other a first author’s first attempt at a story idea. It’s insane to me what the media is doing to create hype over the situation. How will we educators deal with this book? Here’s how I will deal with this book: I will tell my students that there was a manuscript found that was a first draft that her editor said no to its publication as written. However, she liked the stories of the children and that’s what Harper Lee worked on for 2 1/2 years to create To Kill a Mockingbird. How about you ask every other well-known author in the world if they have other drafts of books they have written that tell a different story than what was originally intended? It’s insane to me what people are trying to do to “take away the hype” and in actuality are creating more hype. I was, and and still am, skeptical about the reasons behind this book’s release for the reasons stated above. That said, if I do read it, I will probably consider it rough draft/manuscript type writing. For all intents and purposes, I was under the understand that Lee only ever wanted to release Mockingbird. So, out of respect to her, that’s the only book she wrote. The tragedy of Les, as well as his greatest virtue, lay in his absolutely uncompromising stance on art and life: the world of commerce and the world of Absolute Art is a Venn diagram with a very small overlap.